Looking for an approved locum pharmacy dispenser? A pharmacy dispenser is often the first point of contact for your customers, responsible for maintaining your reputation as a caring and reliable pharmacy. At Pharmaseekers, we understand that many people depend on your community or hospital pharmacy for regular or emergency medication, so it’s important that you are able to provide an uninterrupted service through periods of sickness or holiday. Online access to our extensive list of qualified and vetted locum pharmacy dispensers will make it easy for you to obtain cover during periods of absence of your regular staff. Simply inform us of your requirements – dates, hours required and rates of pay – and we’ll do the rest. You’ll be offered locum pharmacy dispensers based on your specified requirements and the locum’s qualifications and capabilities where you will be invited to accept or reject them – Again online and we’ll reserve them there and then. In the unfortunate event of your staff’s unexpected absence, notify us online or by phone and we’ll get a pharmacy dispenser to you as soon as possible. Because our reputation as a locum pharmacy dispenser agency relies on the competence and professionalism of the dispensers that we place, we take pride in playing our part. 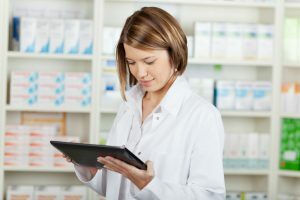 You won’t have to worry about their registration because Pharmaseekers will have already checked that the dispensers are approved, along with their references and certification. Nor will you have to worry about them arriving on time or looking the part as we will also have reinforced the importance of these key traits as part of their engagement process. Any queries will be dealt with efficiently by our friendly and knowledgeable team online or by phone from 7am on weekdays and 7.30am on Saturdays with an out-of-hours service at all other times. Why wait to rid yourself of staffing worries? Register with Pharmaseekers and join hundreds of happy pharmacy managers today.